Not long now till the big man in the red suit comes sliding down the chimney!! And I have a gazillion and one things still to do! hoho. But just wanted to show you the cute little Christmas boxes I made for some friends. I put little Christmas brooches inside them. 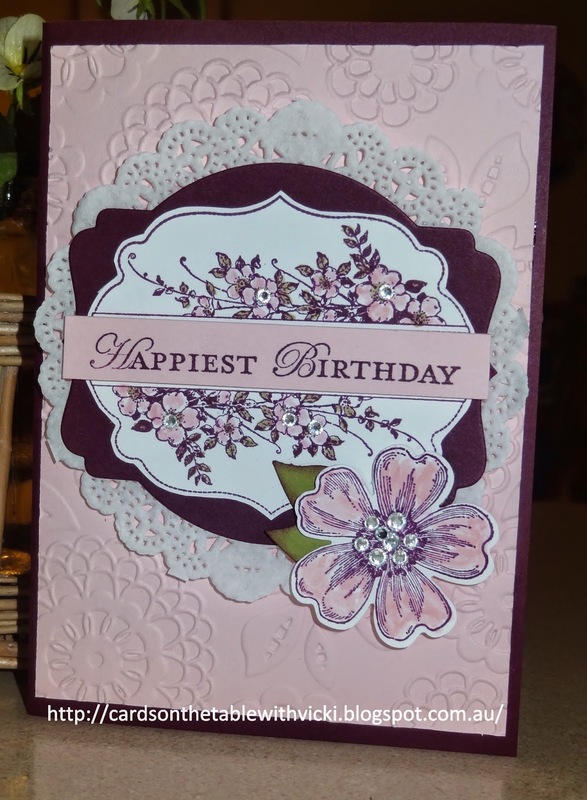 The ideas all came from Pinterest using the Curvy Keepsakes thinlits Die. 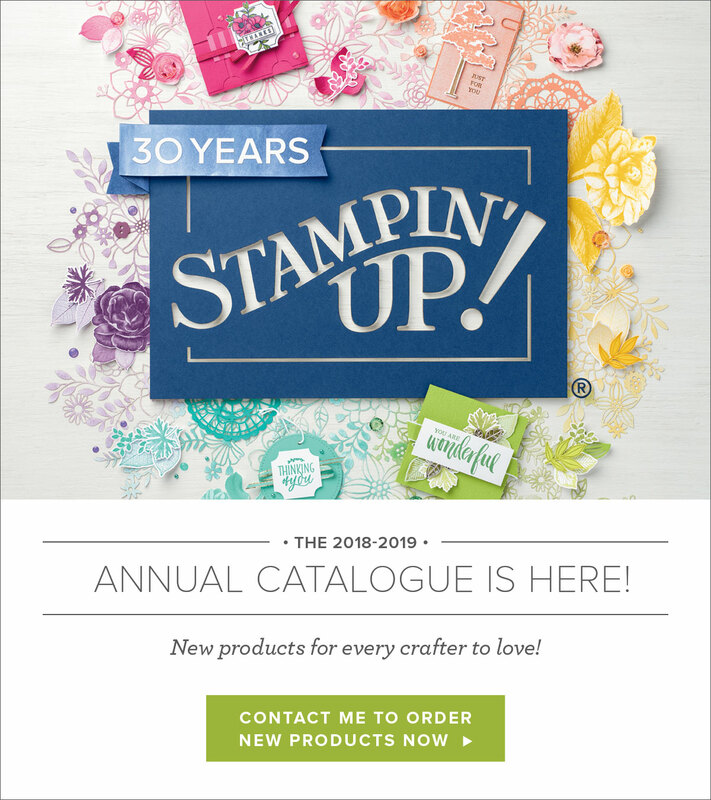 p.11 in the Holiday Catalogue. They turned out very cute and they were so quick and easy to make. And as you should all know by now "Quick" and "Easy" are my favourite words when it comes to crafting. I intend to make lots more of these cute boxes. Wouldn't they be great as table party favours for everyone at Christmas Lunch. You could have a little card on top with the person's name. Inside a little gift or chocolate/ a joke/ a Christmas ornament...the ideas are endless!! Just love it! I will leave you all with a picture of Rosie waiting for Santa to arrive! 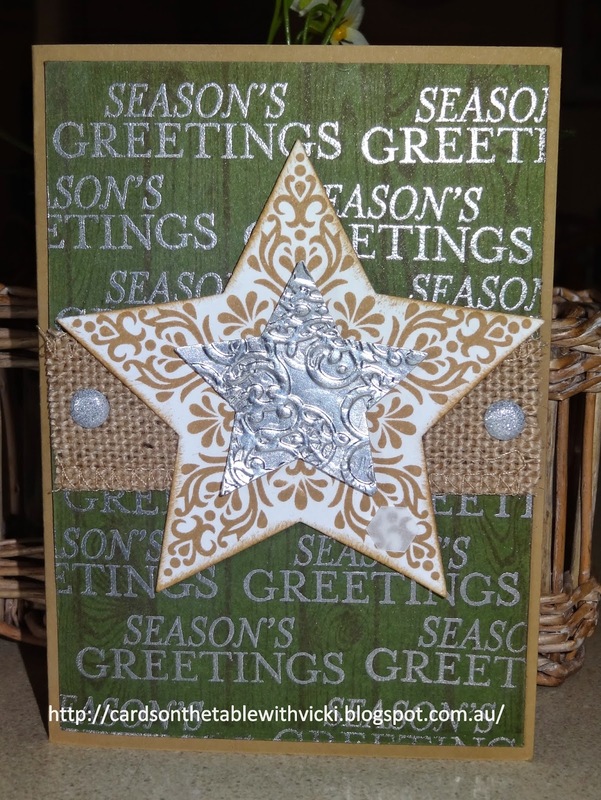 Envelope Punch Board Christmas Holders. This is just a quick post today as I know everyone is probably very busy and won't have much time to spend looking. 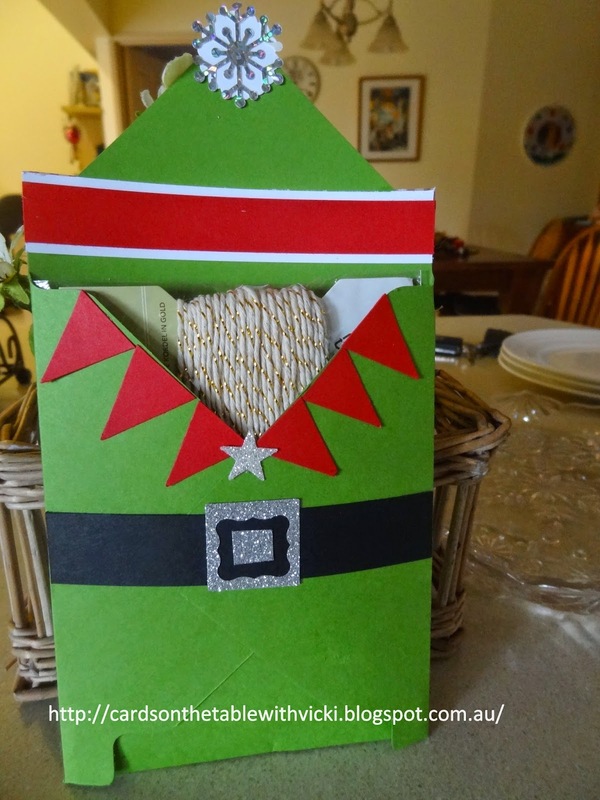 I wanted to share with you a last minute gift holder idea. I have seen similar ideas on Pinterest. 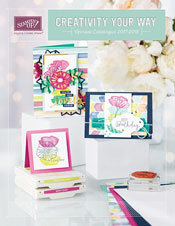 I just love the Envelope Punch Board. It is so versatile and so handy. Especially at Christmas when you need to come up with something fast. I had a couple of Stamping Up Presents to give but you could make this holder for lots of different things. I just measured the size of my gift and used the guide on the Envelope Punch Board to work out the size I would need to make. These ones were made using 8 inch x 8 inch card stock. Then just stick down three sides and leave one open for the "hat". The elf is in retired Gumball Green (I have got rather a lot left over to use up!). I used the Pennant Punch for the triangles. The snowman turned out well too. In Queensland!!!! Hardly likely. LOL. But a girl can dream....so saying I have been busily creating Snowman Cards to give out this year. Basically I made the cute punch art snowman and then just added him to different background papers. Would you like to know how to make him? Let's get started then.Use the 1 1/4" and 2" circle punches for the head and body. I ran the body through the big shot with the Star Embossing Folder. The arms are a heart cut in half from the retired triple heart punch. I raised the ams up on the sides with dimensionals. Let's make the Scarf next. Create the ends of the scarf with part of an oval punched out. Punch a half oval first then punch again as shown. Cut this in half and add a glimmer star on top. To make the neck piece you need to punch a piece with the word window punch then put it back in as shown and punch again to create a smaller piece.